Ads about I-185 from Montanans Against Tax Hikes and Healthy Montana. Dr. Jason Cohen is Chief Medical Officer of North Valley Hospital in Whitefish. “I’m definitely disappointed that big-money can have such an outsized influence on our political process,” Cohen says. I-185 would have tacked an additional $2 per-pack tax on cigarettes. It would have also taxed other tobacco products, including electronic cigarettes, which are currently not taxed in Montana. Part of that $74 million in tax revenue would have funded continuation of Medicaid expansion in Montana. Unless state lawmakers vote to continue Medicaid expansion, it’s set to expire next year. Here’s what Governor Steve Bullock told the Montana Association of Counties back in September. 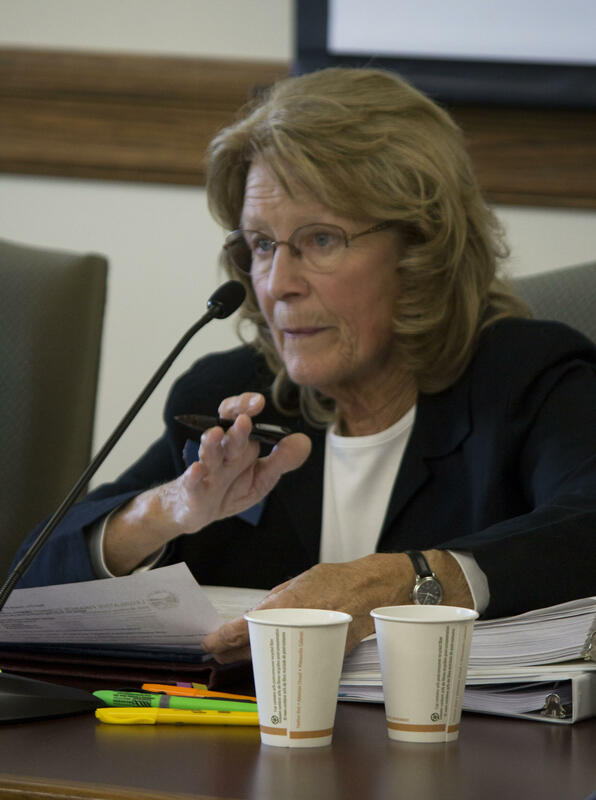 Republican State Representative Nancy Ballance opposed 185, but was not on the tobacco companies’ payroll. She disagrees with Bullock’s position. Hamilton Republican Nancy Ballance chairs the Legislative Finance Committee. Ballance says Medicaid expansion can be tweaked without resorting to such a sweeping new tax on tobacco products. Ballance suspects that if 185 had passed, it would have immediately faced a court challenge. Whitefish doctor, Jason Cohen, hopes Montana one day passes a tobacco tax. “We all know how devastating tobacco is to our families, our friends and our communities," Cohen says. "And I think we also all know how important having insurance coverage is, and so I think people are dedicated to fighting this battle and winning it." Republican Greg Gianforte defeated Democrat Kathleen Williams in Montana's U.S. House race last night to win his first full term in office. With nearly all votes counted today, Gianforte won by a margin of 6.1 percent. He got 51.6 percent of the vote to Williams’ 45.5. Neal Ullman, a spokesperson for Kathleen Williams’ campaign says misleading campaign ads may have contributed to Williams’ defeat but doesn’t know what other factors played a part. Montanans elected nine Native Americans to the state Legislature Tuesday. That’s the same as last session in 2017.